Every SENCO have reason to be proud of their work this year. It's important not to let these positive highlights languish in the shadow of ongoing challenges. This is one of the most hectic times of year, and it can be a huge strain on schools and families. 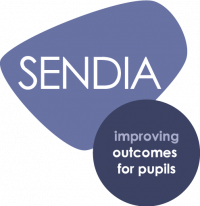 Ofsted’s annual report has signalled a greater awareness on the part of the 'powers that be' of the challenges facing SEND provision in schools, and has prompted much debate. But at the end of term, SENCO colleagues will benefit from taking stock of the progress we’ve made over the course of this year to date, as well as the challenges we still need to address. As SENCO, I’ve found this year to be a challenging one; we are trying to deliver more for less each day. This means plugging gaps, supporting families and dealing with the frustration that so often surrounds diagnosis and assessment – not to mention EHCPs. However, there have been some notable positives. For me, the highlight has been to see proper co-production take place. Nothing gives me more of a ‘SENCO buzz’ than joint working and positive solutions with families. Our recent Year 11 reviews were great examples of this after six years or working together we know the young people and families so well. From talking to colleagues, be it at events, other schools or on Twitter, it’s clear that the determination we have to improve outcomes for all learners shows no sign of weakening in the face of ongoing financial pressures and needless bureaucracy – and rightfully so. It is just that this time of year, even our most powerful resolve is tested to the limit. This time of year is all about ensuring the best possible end of term for all young people, staff and families. For me this is the priority as we move into the festive break. 2018 will no doubt continue to be testing, but it’s important to be optimistic. After all, it’s on the strength of the efforts we’ve all made to ensure the best outcomes for all that we’ve finally at the time of year when I can wish you all a Happy Christmas and a wonderful New Year. The 34 blog posts I’ve written this year have attempted to support as far as possible practitioners of SEND, who can rely on no one better than their colleagues for advice, resources and timely reminders of why we do what we do. Now is the perfect time for regular readers and new subscribers alike to catch up with the most popular posts of this term. SENCOs: make these first weeks count! Thinking back to the start of the SENCO year, strategic planning for SEND provision can often fall victim to in-the-moment demands. Here was my advice for a smooth start. Labelling for the sake of convenience has profound implications for young people and their families. This popular post considered that all schools should ditch the deficit model. Autism and sexual health: need it be a challenge? Understanding sexuality and relationships can one of the most challenging areas for a young person with ASC. This post offered resources to support a proactive approach, as part of a number of autism posts that draw on research and practical ideas. Much has been written about the importance of maximising teaching assistants and support staff, from the interview to their induction and beyond. School leaders should prioritise the professional development of TAs in order to improve learning outcomes for all pupils. Prioritising the time and attention of support staff is a daily challenge in many schools. One member of my amazing team has adopted a simple but effective technique for coordinating cover and support. She explains how it works and how you too could adapt the ideas for your settings. What would you like me to cover in 2018? Comment below or get in touch!